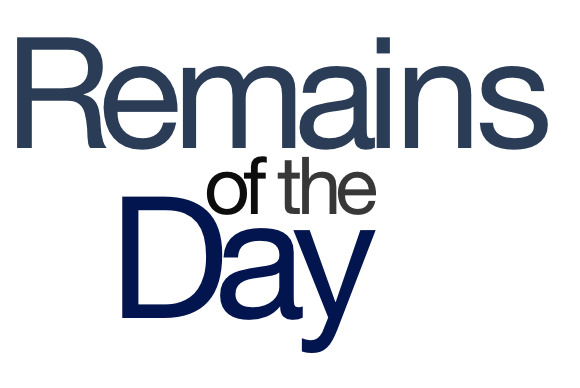 Remains of the Day: LTE AOK BBQ? Verizon is the true innovator behind the iPhone 5’s incorporation of LTE. Elsewhere, Motorola and Apple take up valuable judicial time, and a tree grows in Emeryville. The remainders for Thursday, April 11, are all about the TLAs. In an aside at this week’s National Associations of Brodcasters conference, Verizon CEO Lowell McAdam said that he was the one who sold the late Steve Jobs on building LTE into the iPhone 5. Uh huh. Or is that just what Steve wanted him to think? Eh? U.S. District Court Judge Robert N. Scola is tired of the Apple v. Motorola suit, which he has accused the two companies of pursuing as “a business strategy.” Declaring it an improper use of the court, Scola referred to the “parties’ obstreperous and cantankerous conduct,” leading some to believe that he might actually be a Dr. Seuss character. That’s sweet and everything, but you couldn’t be bothered to make it an apple tree? Eh?